I felt glad that little by little my blog is being noticed by those whom I considered as famous bloggers like Chris of The Mommy Journey. I enjoyed reading her blog about her journey as a loving mom and a wonderful wife. 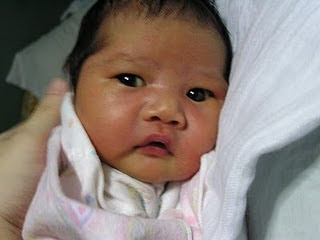 Her latest blog which recaptures her experience about giving birth is indeed so cute. Toby and Kyla are so adorable. To all loving mommies out there, kudos to all of you! maybe you can mention also that you grabbed the pictures from my recent post at The Mommy Journey!